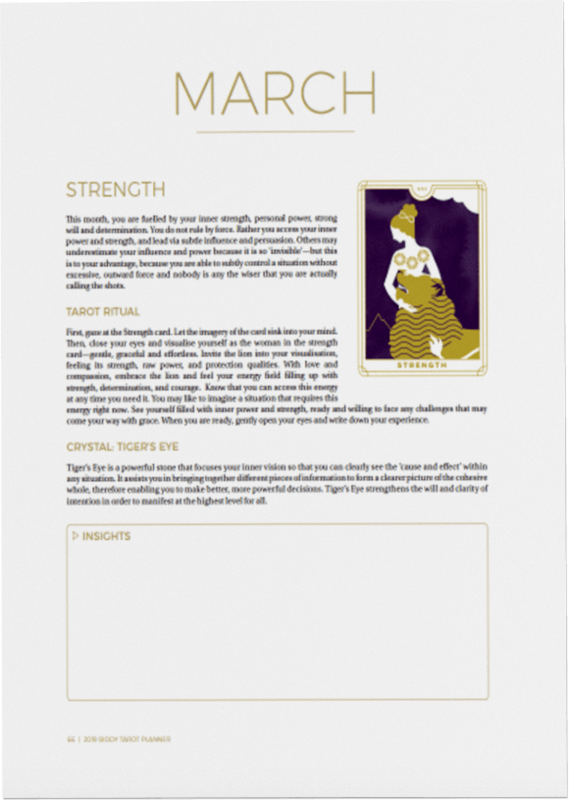 That’s why I created The 2019 Biddy Tarot Planner! 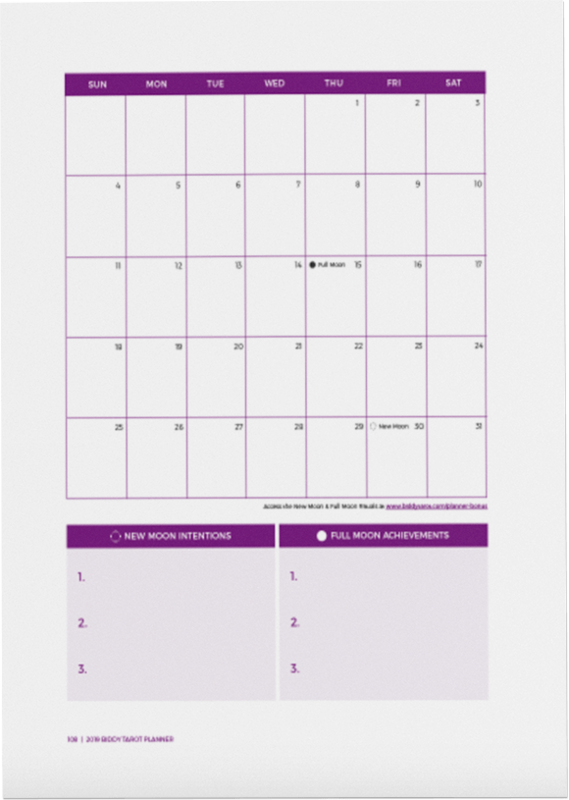 The 2019 Biddy Tarot Planner is your must-have workbook for creating the best year yet utilizing Tarot – and your intuition – as your guide. 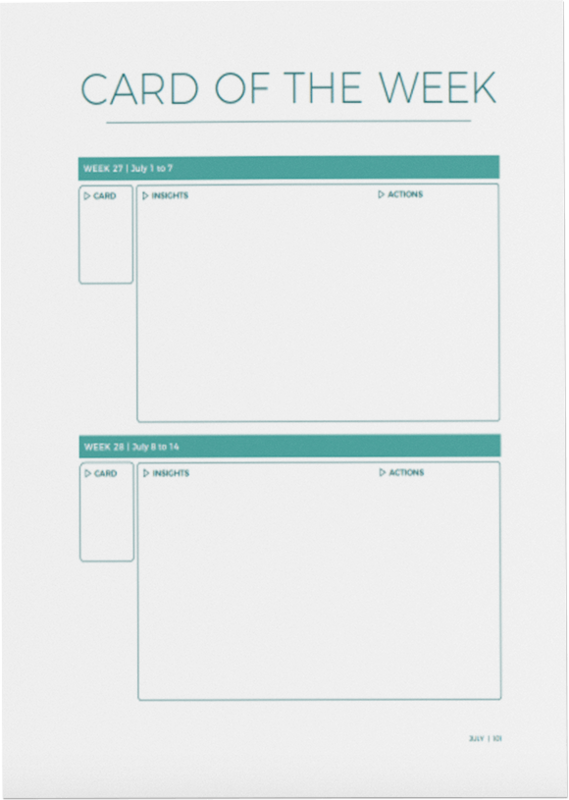 Traditional planners leave very little room for intuition and fluidity, but you and I both know things change at a rapid pace in our world. You need a tool that can help you navigate the ebbs and flow of life, while maintaining your connection to your true intentions. 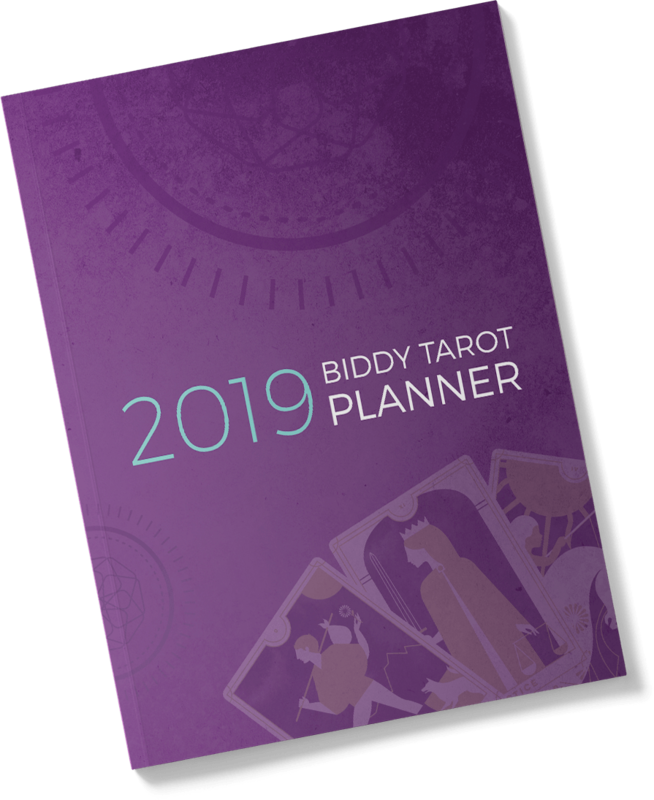 Filled with Tarot spreads, powerful rituals, intuitive insights and monthly forecasts, plus brand new seasonal spreads, the Biddy Tarot Planner is designed to help you align with your Highest Self, manifest your goals and dreams, and most importantly, create a phenomenal 2019. 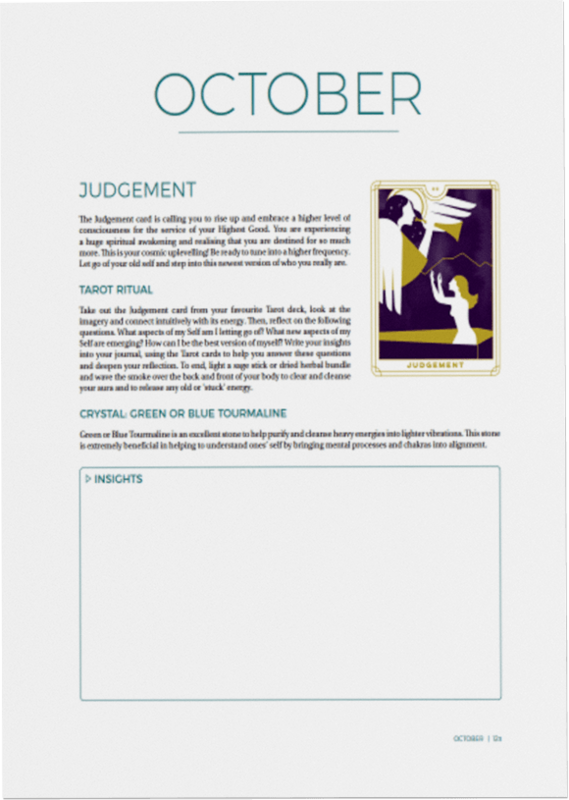 In its third year, the 2019 Biddy Tarot Planner is now bigger and better than ever! 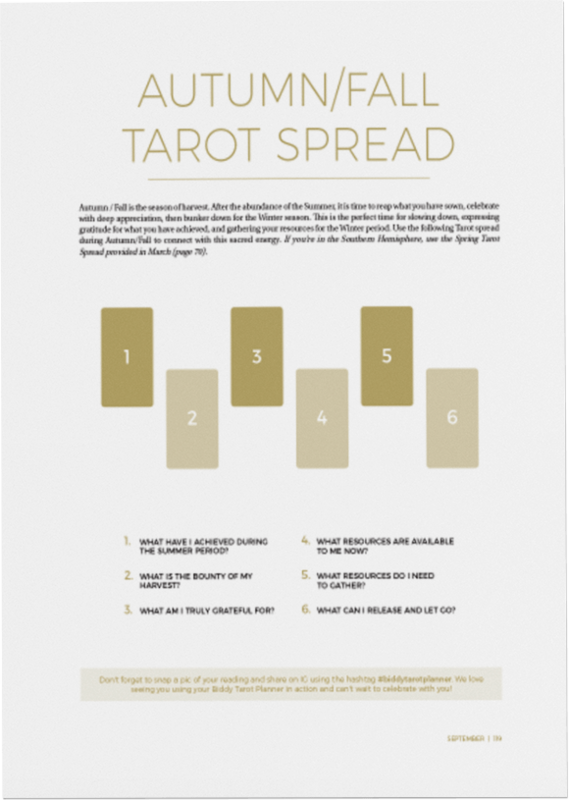 DIY Weekly Tarot Forecasts to help you make the most of each week as you create your awesome year! 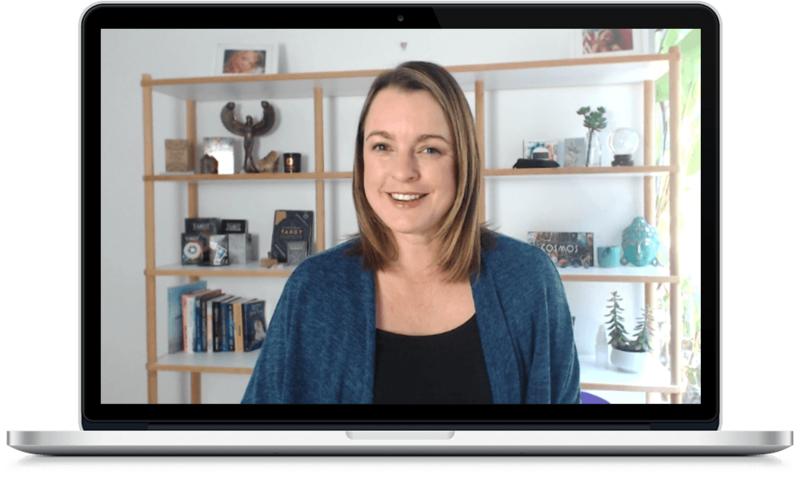 PLUS… You’ll receive FREE access to my video tutorial series to show you how to make the most out of the Biddy Tarot Planner and Bonus Lunar Rituals! 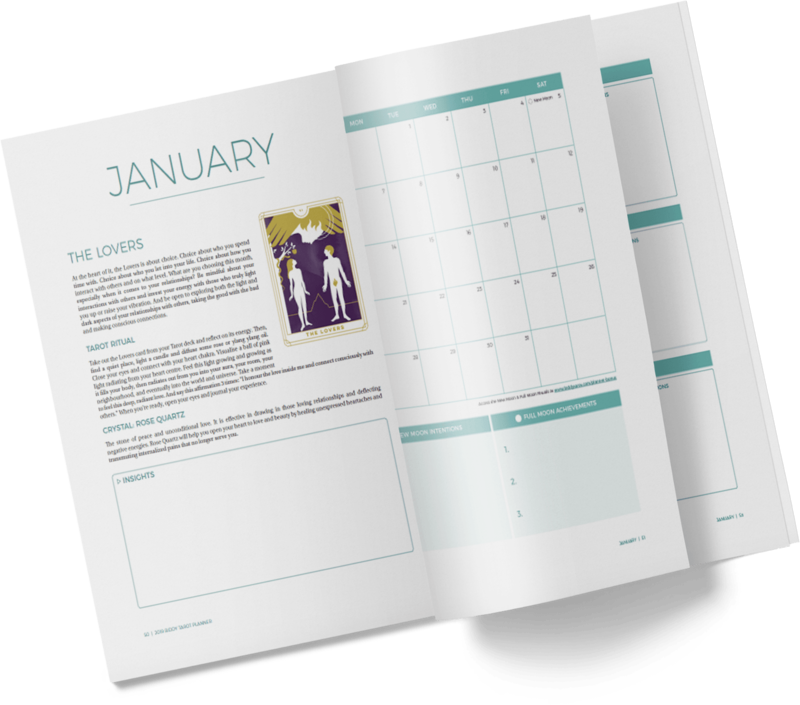 Get crystal clear guidance and intuitive insight for the year ahead Manifest your goals and intentions with sacred action. Grab your favourite Tarot cards, collect your crystals, bring out your colourful markers, and let’s have some fun! Are you ready to create an amazing year in 2019? 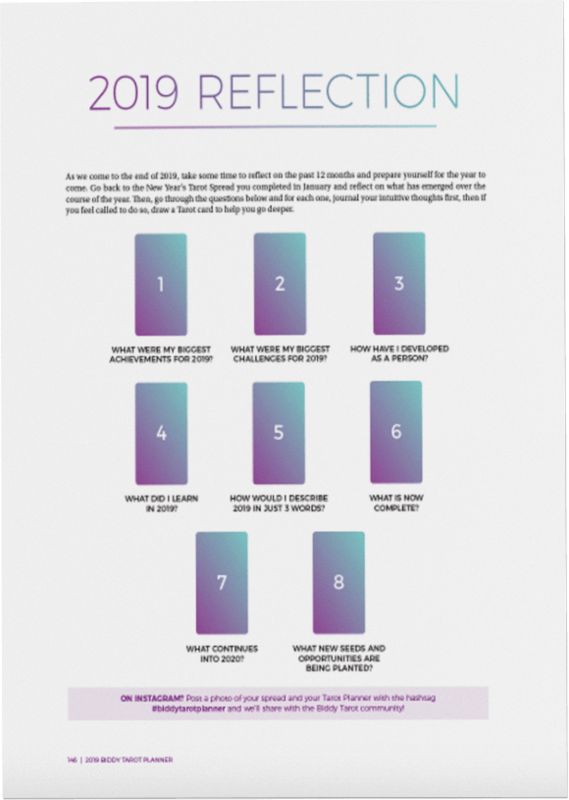 What Will Happen After You Purchase the 2019 Biddy Tarot Planner? When you buy the paperback version… You’ll be directed to Amazon US to complete your order, including shipping costs and delivery dates. When you buy the digital version… You’ll be directed to make a secure payment with PayPal or your credit card. It’s 100% safe and secure! 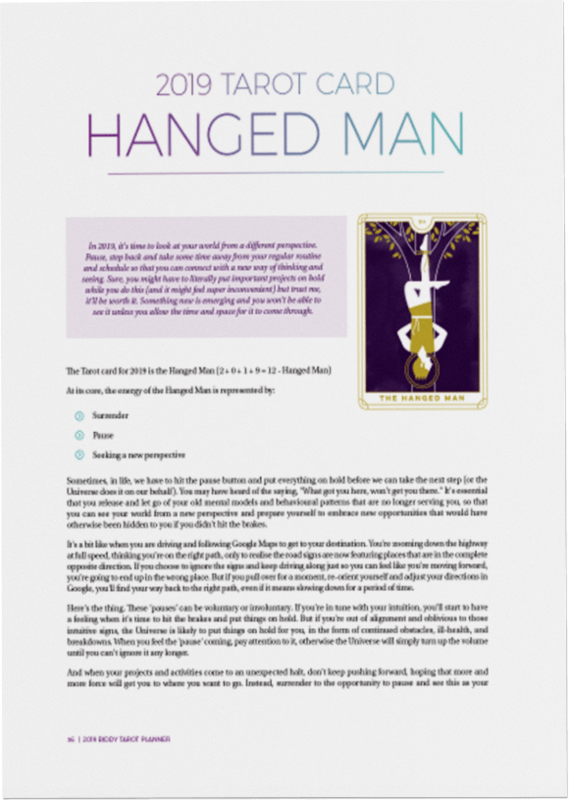 After your payment, you’ll receive an email with all the juicy details on how to access your 2019 Biddy Tarot materials online. If you can’t find the email? Check your Junk Mail or Promotions folder. Or contact the Biddy Tarot team here. When you buy both… we’ll send you a ginormous hug from the Universe! Trust me, you’re going to love this. I know you’ve got AWESOME plans for 2019 – but just think about how much better your year can be with the Tarot and your intuition as a guide. If you have any other questions that weren’t answered on this page, feel free to reach out and I’ll get back to you in a jiffy. 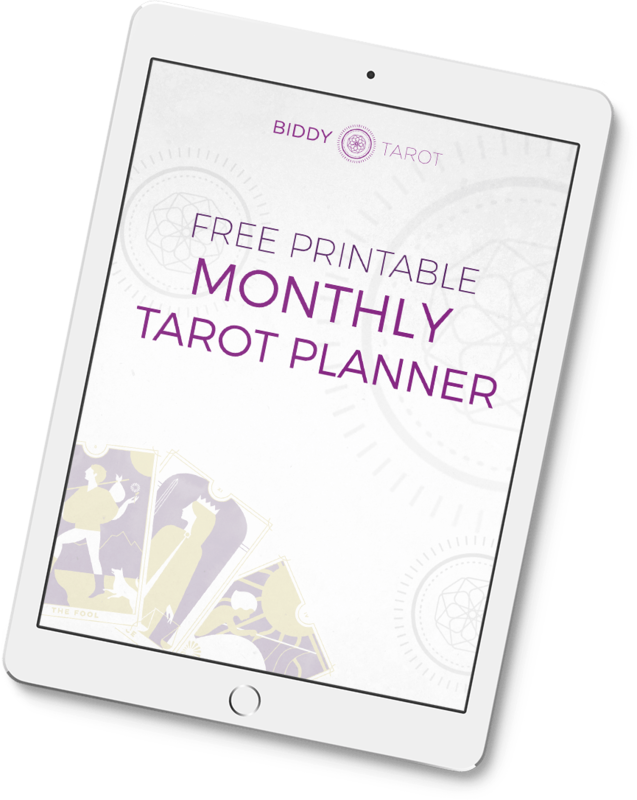 Test drive the Biddy Tarot Planner system today by downloading the FREE monthly printable and see if it’s a fit for you!